Being a photographer for 30 years, I always get asked to photograph all sorts of people, places, or things. Â Today was no exception when I got to visit an actual deep mine. Â It is no surprise Â I am passionate about COAL! 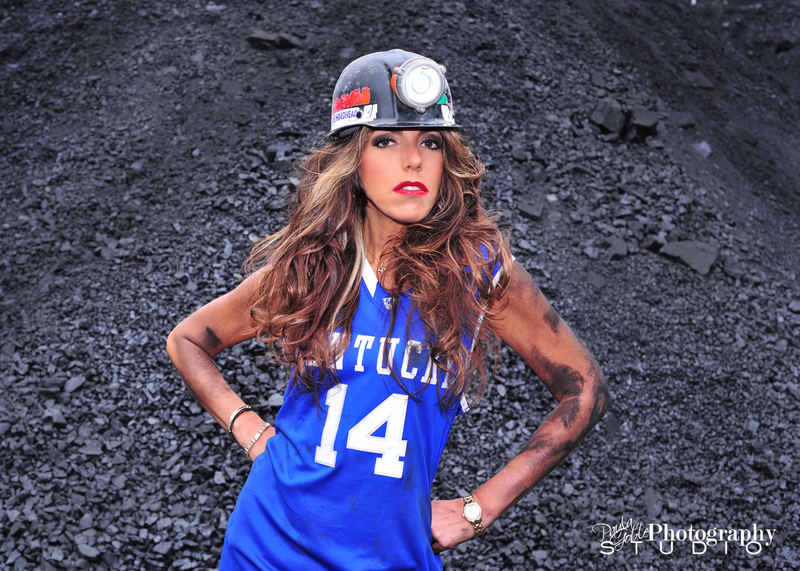 When my friend suggested a photo shoot at a deep mine, we knew right away that we wanted a â€œlittle digâ€� at Ashley Judd because â€œWeâ€� support the miners and their families. Â As I entered the mine site a feeling of humbleness came across me. Â A flood of vintage photographs flashed through my head. Â The face of a man with a hard hat sitting side ways on his head, Â Black Dust covering his face. Â This is a beautiful site to me!Â Â To have the opportunity to see a coal mine up close and personal really hits home for this â€œFriend of Coalâ€�. Â When you think of all the blood, sweat and tears that these hills hold; its like you are walking on sacred grown. Â All these men Â have ever wanted to do is work and provide for their families.